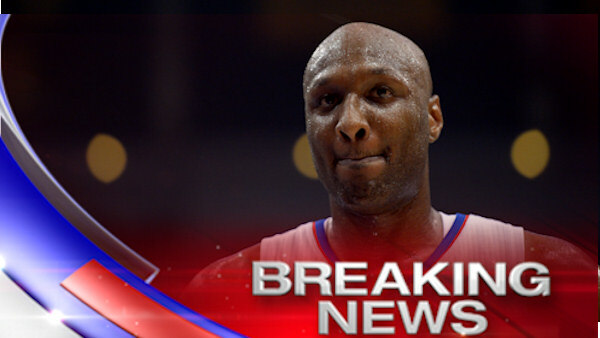 LAS VEGAS -- Lamar Odom has opened his eyes and said something, sources told Eyewitness News. Odom, a former NBA player who grew up in Queens, is in a Las Vegas hospital after being found unconscious Tuesday in a Nevada brothel. Sources also said that Odom said "good morning," gave the doctors a thumb's up and he is breathing on his own. Odom, 35, was found at the Love Ranch in Crystal, where he had paid $75,000 for a four-day stay. The Love Ranch said Odom told at least one of the women when he arrived on Saturday that he had used cocaine earlier in the day. And he bought 10 sexual stimulants, or "herbal Viagra," during his stay, according to a brothel spokesman. The statement said in part: "No words can express the overwhelming gratitude we feel for the outpouring of support from around the world." The statement says, "His complete healing is paramount and our primary focus."